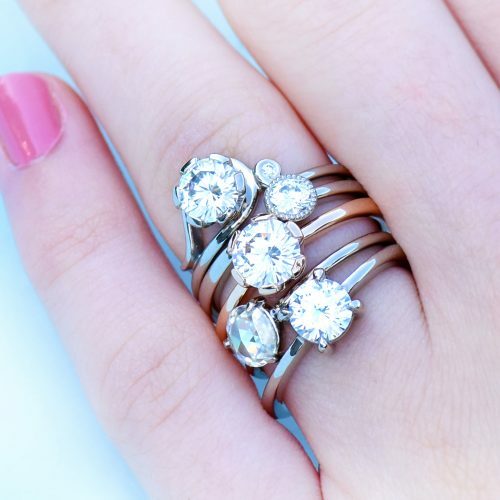 Need an engagement ring fast? 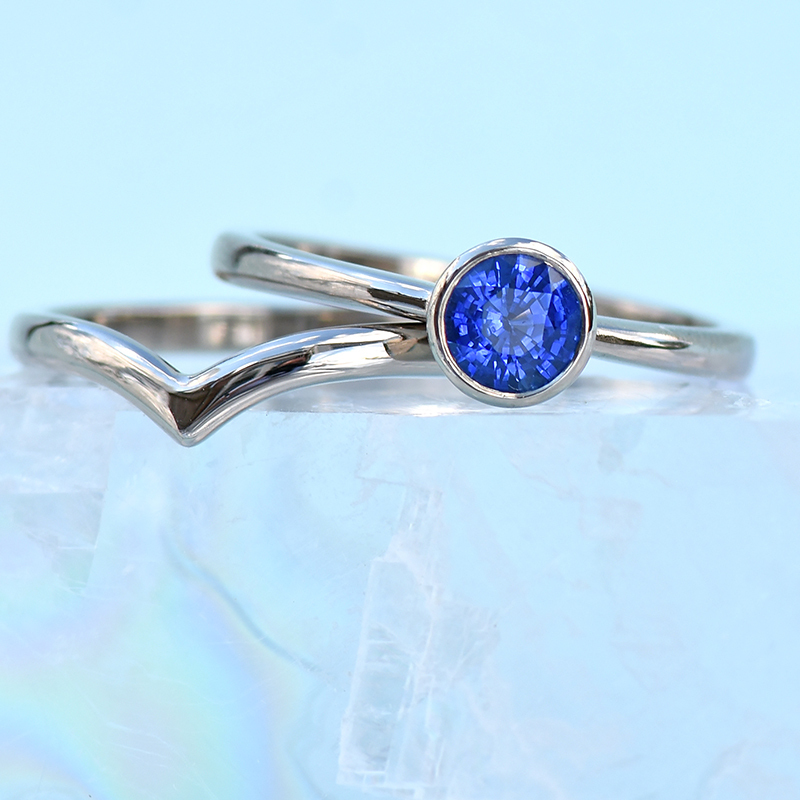 Most Lilia Nash engagement rings are made to order and will be sent within 6-8 weeks of the order date. 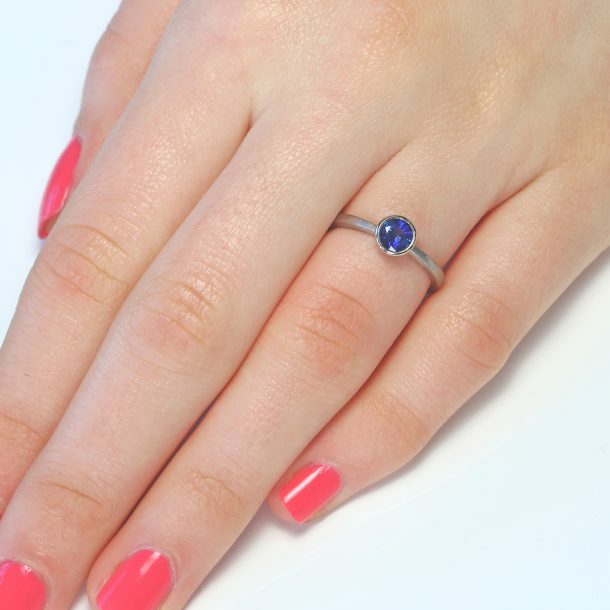 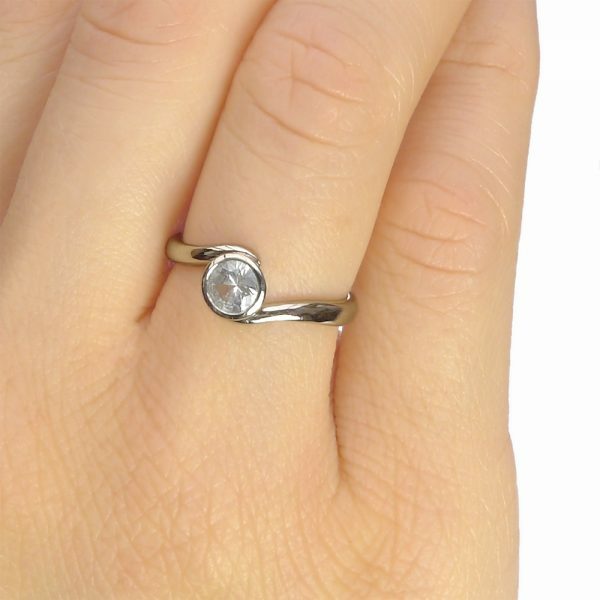 Our in-stock engagement rings can be resized to a small size run and are ready to send. 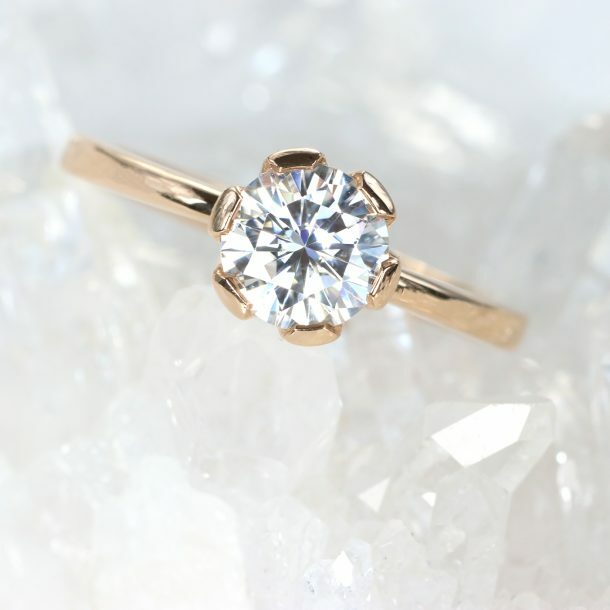 If you need an engagement ring in a hurry, head here! 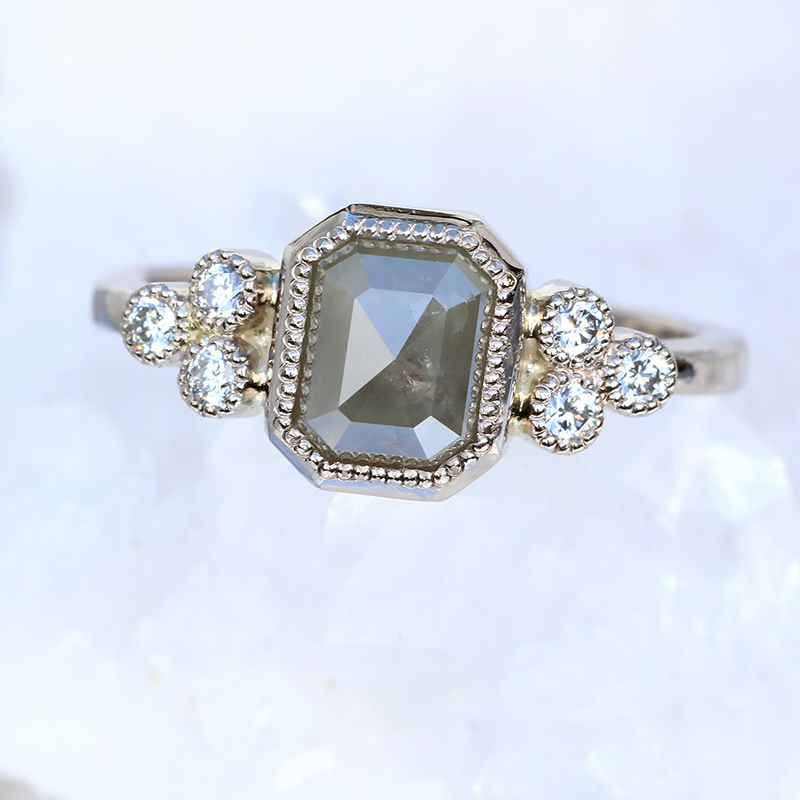 Lilia Nash's best-selling engagement rings are now available as customisable designs. 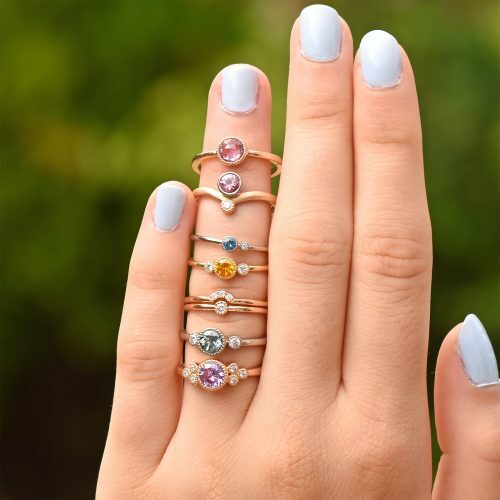 Choose between 8 signature designs and customise the design with different gemstones, settings, metals, finishes and design accents. 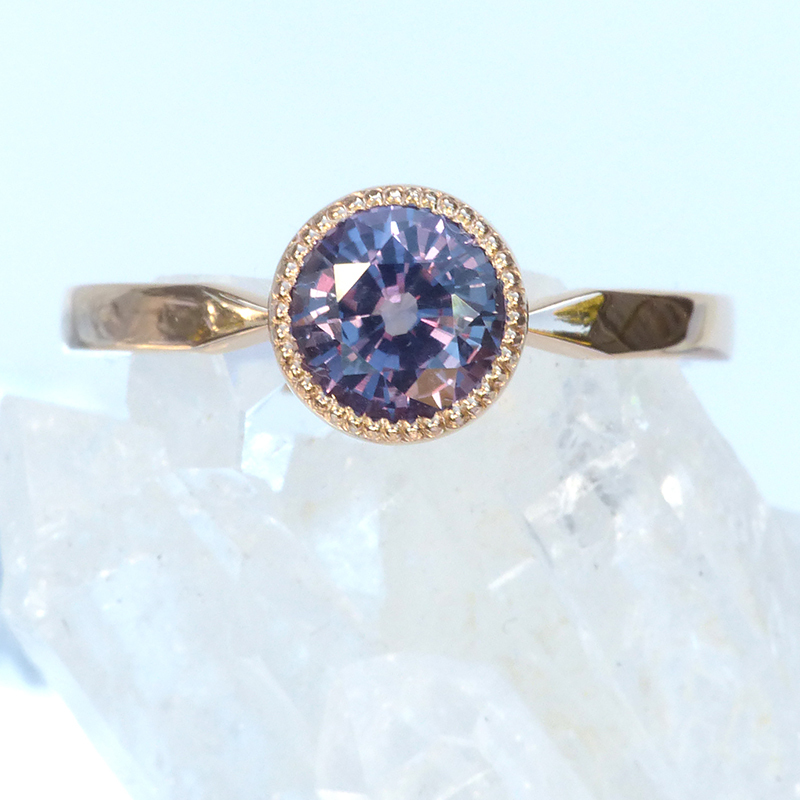 Lilia's custom engagement rings are made to order and can be made in UK, US and EU ring sizes. 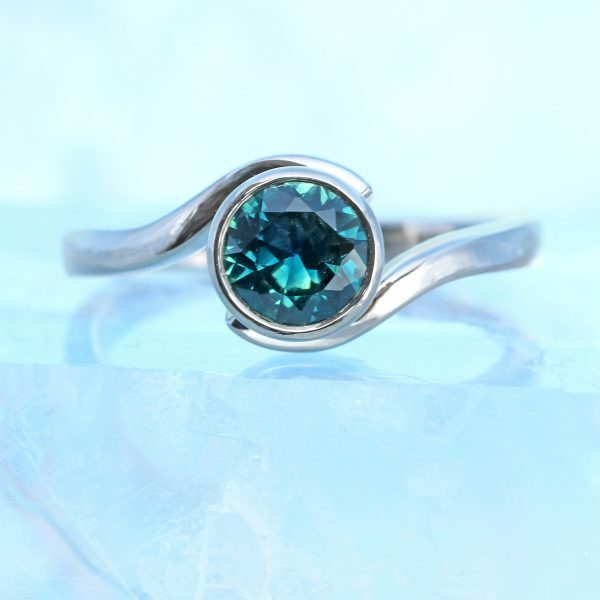 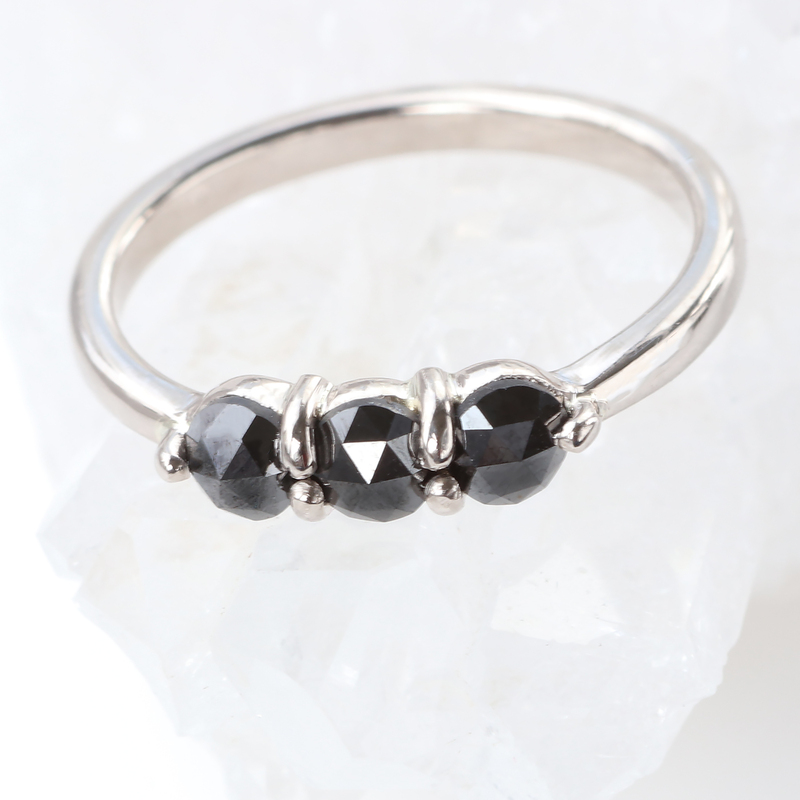 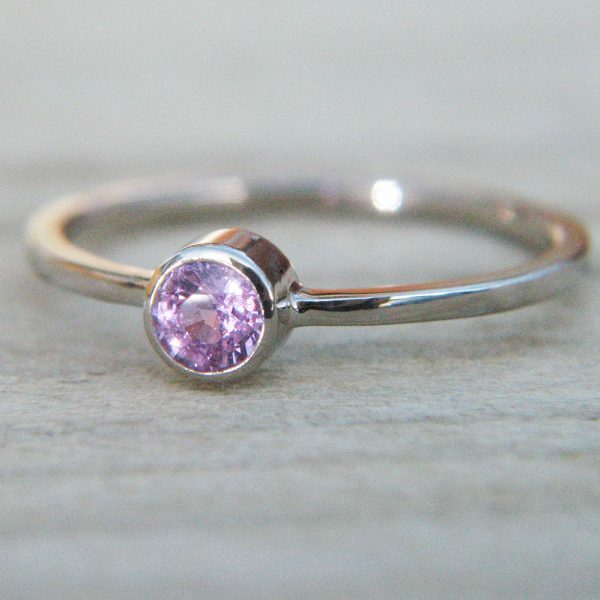 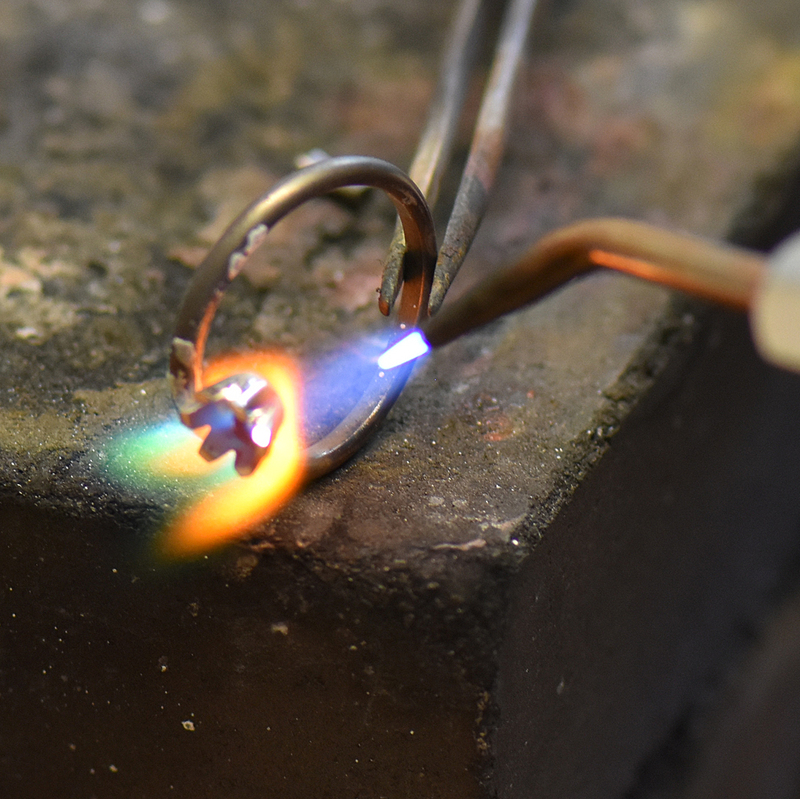 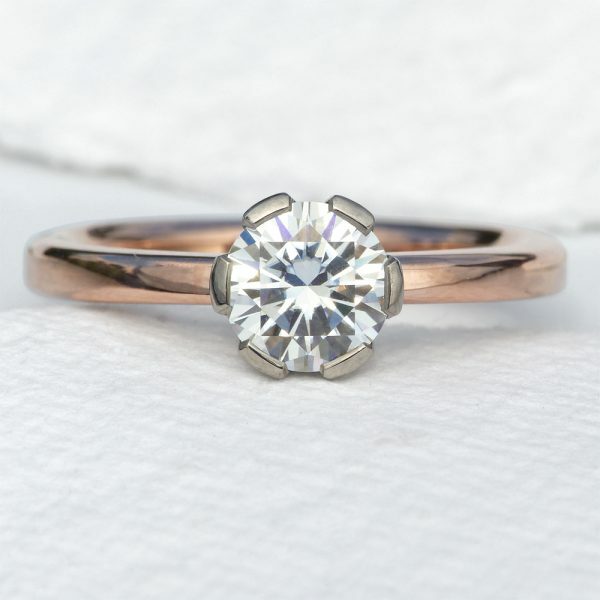 Your custom ring will be sent to you within 8 weeks of your order date. 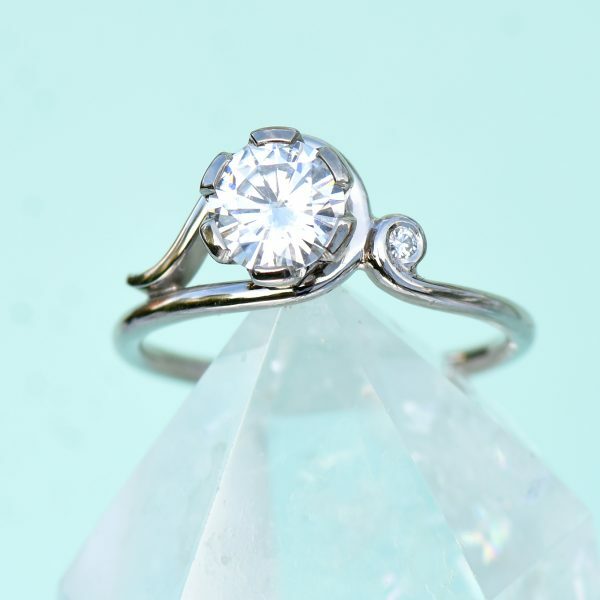 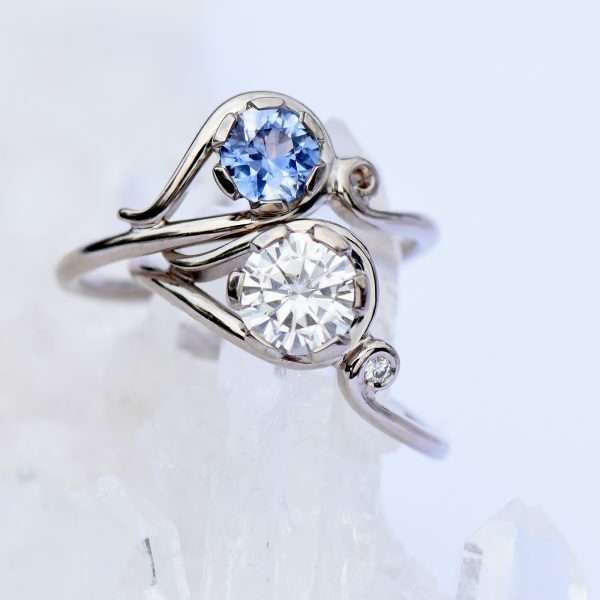 Design an engagement ring as unique as your love. 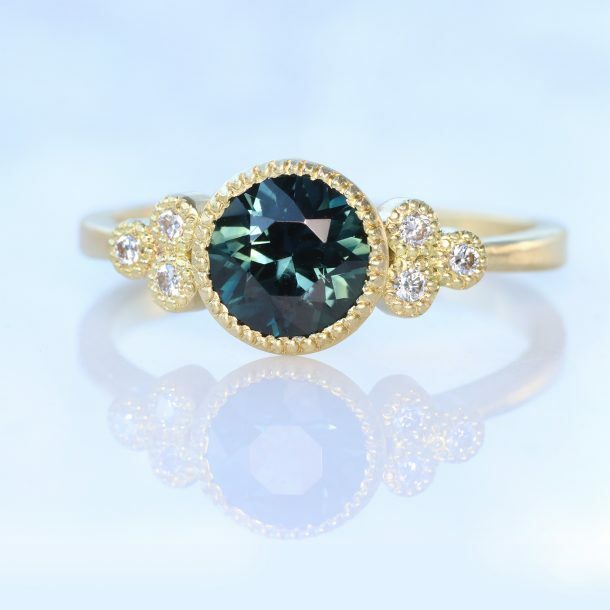 Lilia Nash Bespoke Engagement Ring Design Services make your dream engagement ring a reality. 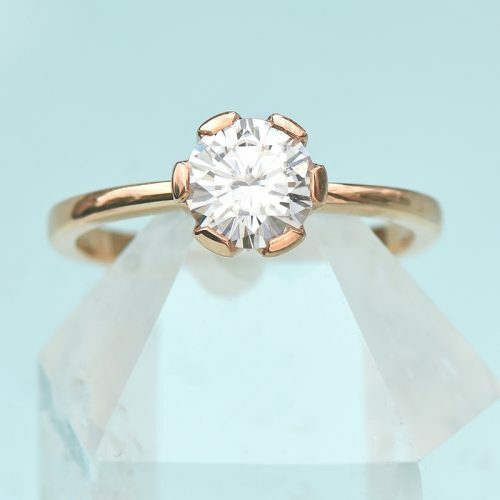 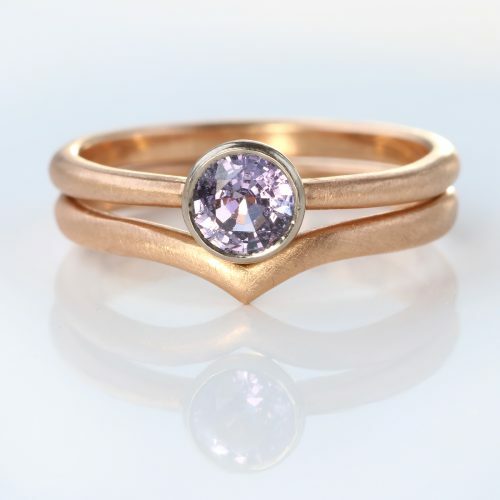 All Lilia Nash engagement rings are made using recycled gold, rose gold, white gold or platinum and can be made in any UK, US or EU ring size, including 1/2 sizes and plus sizes. 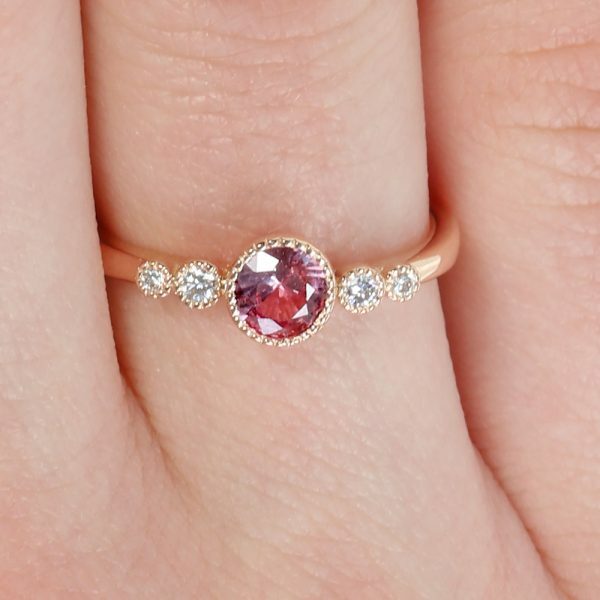 Design an engagement ring as unique as your love. 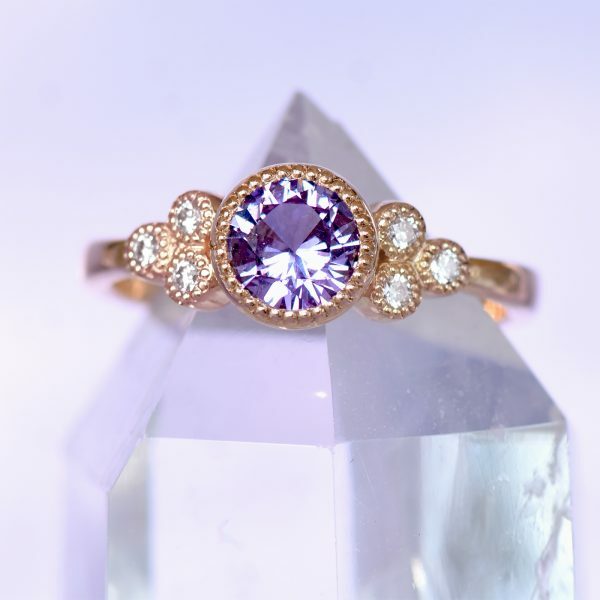 Lilia Nash Bespoke Engagement Ring Design Services make your dream engagement ring a reality. 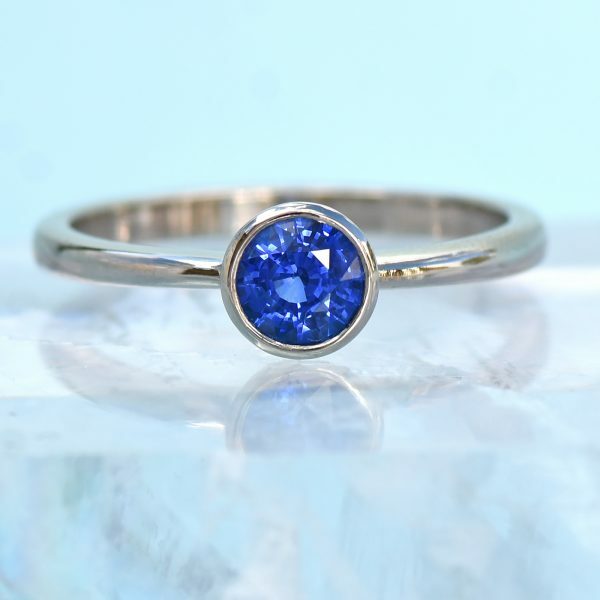 Choose the metals, design details and gemstones that you love the most including diamonds, sapphires, amethyst, rubies and other ethical and fair trade gems. 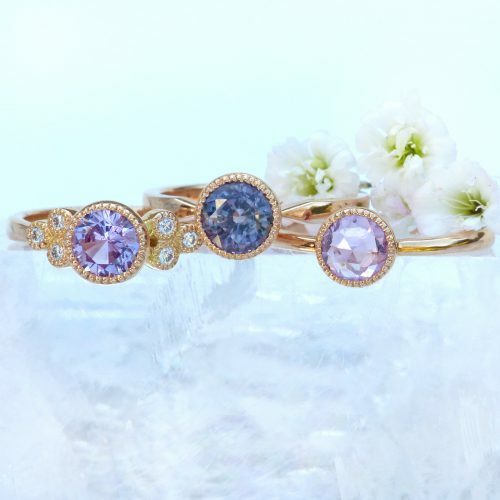 Customise some of Lilia's best-selling designs with her Signature Engagement Ring Collection. 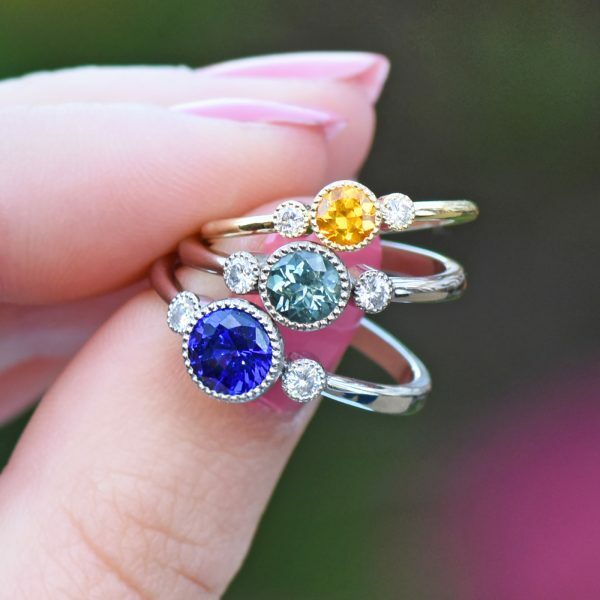 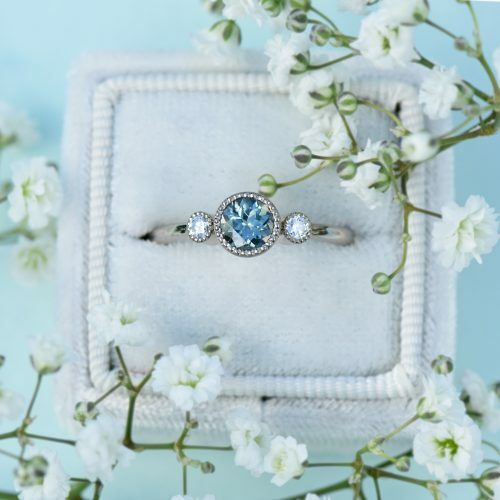 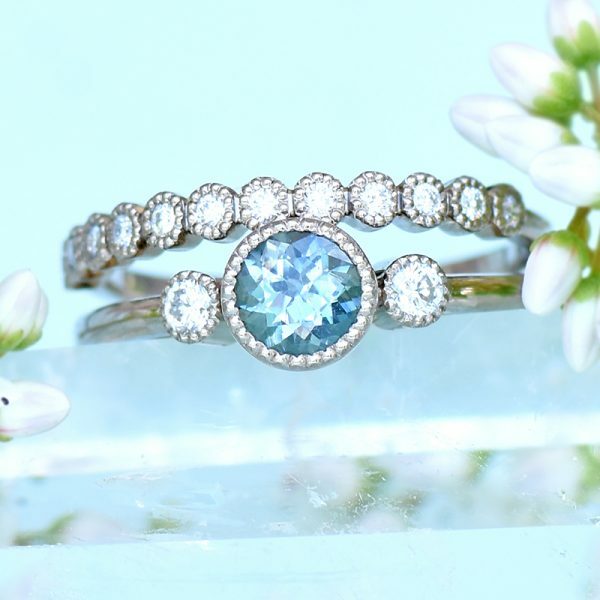 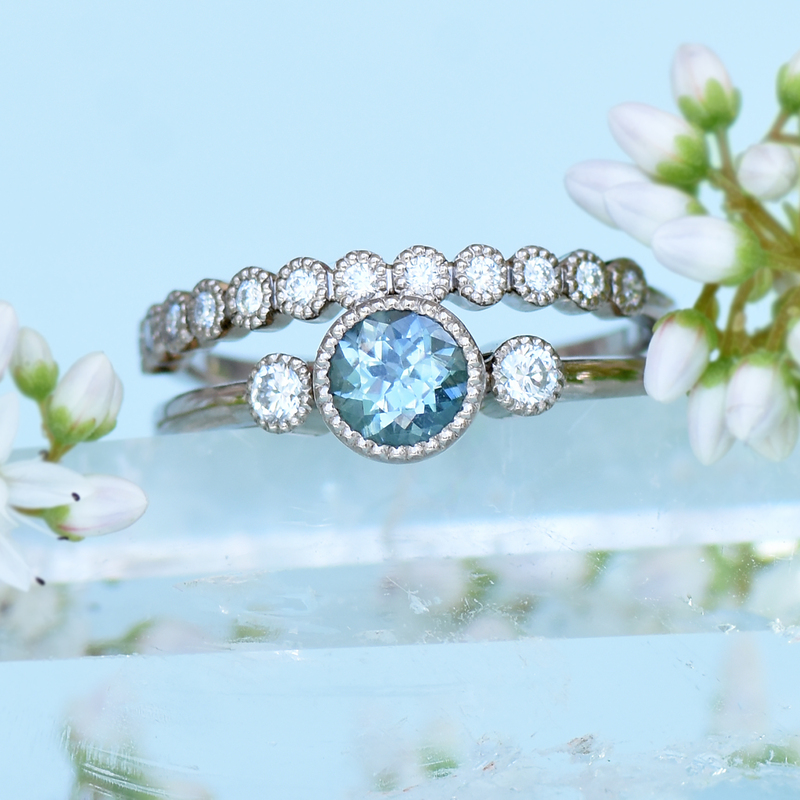 Choose from a selection of in-stock gemstones, pick your favourite precious metal and add the design features that will make your ring unique. 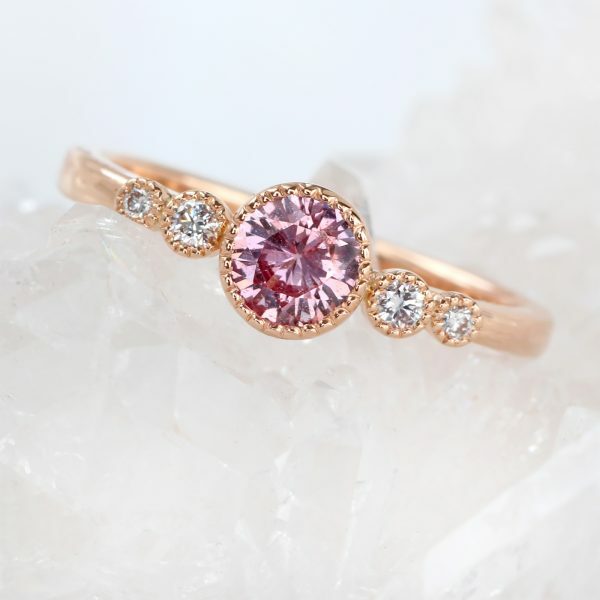 Don't see the perfect focal diamond or gemstone? 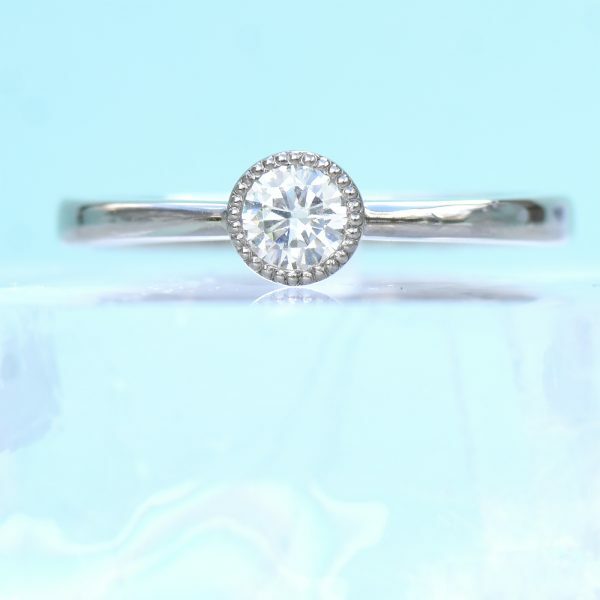 Contact us with your requirements! 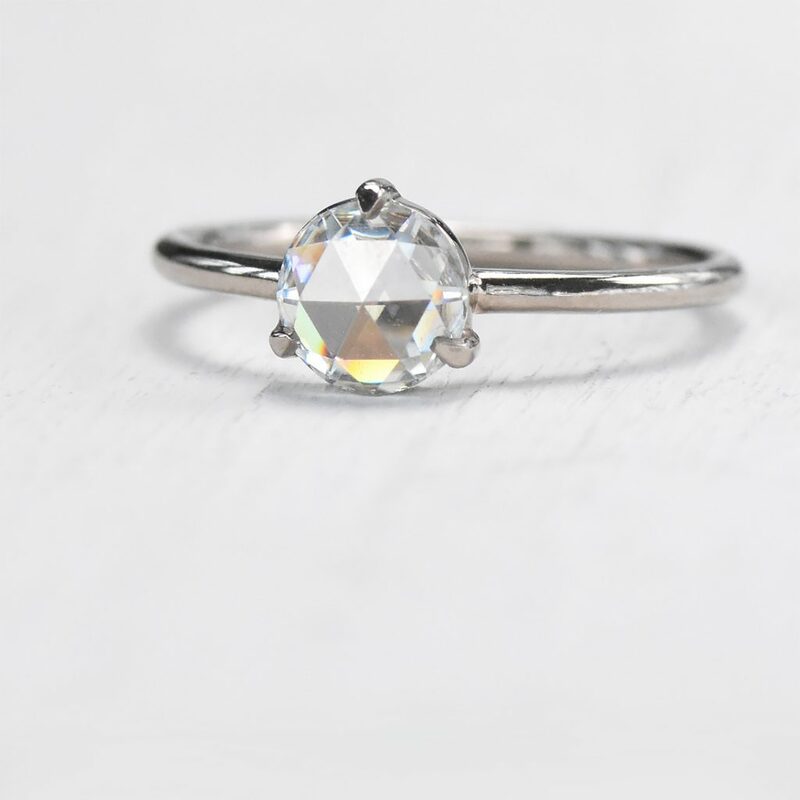 Lilia Nash ethical engagement rings are made to order, with a limited number of in stock engagement rings available for immediate shipping. 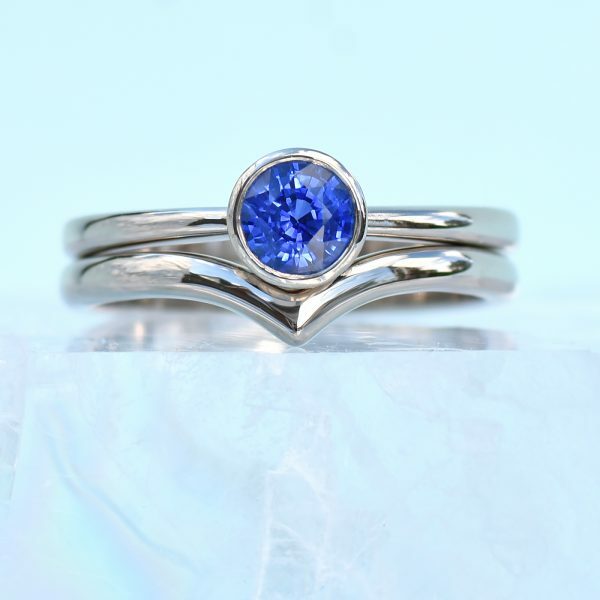 Buy an engagement ring online or visit Lilia at her jewellery studio to see some of her current designs in person ahead of purchase. 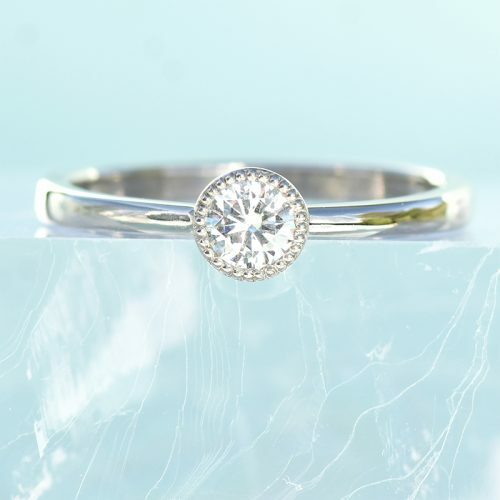 Lilia's designs can be customised with different design details, alternative diamonds or gemstones or an alternative precious metal. 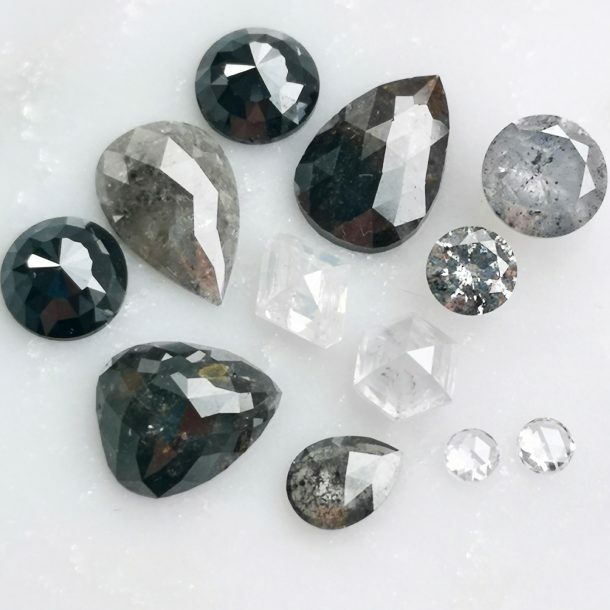 Contact us if you have any questions ahead of placing your order. 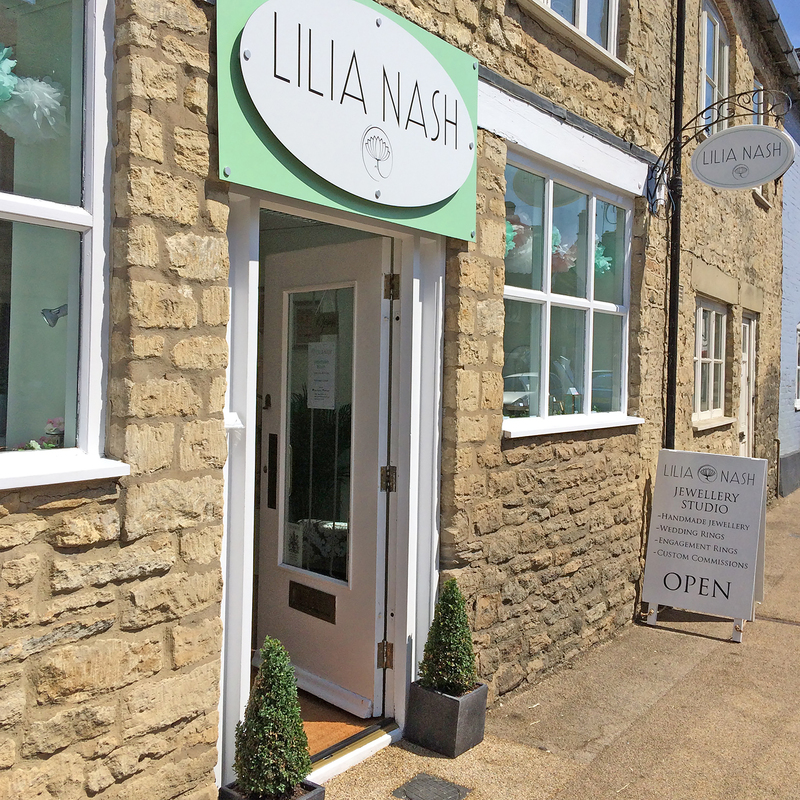 Lilia Nash is an independent jewellery designer working from a boutique jewellery shop and studio in Lechlade, Gloucestershire in the United Kingdom. 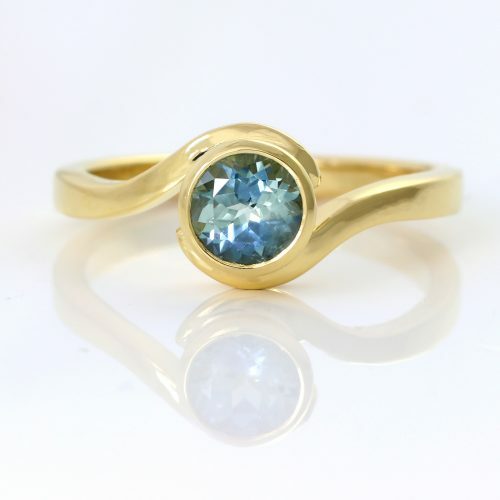 She has a passion for ethical jewellery making, using recycled gold, silver and platinum to create her collections. 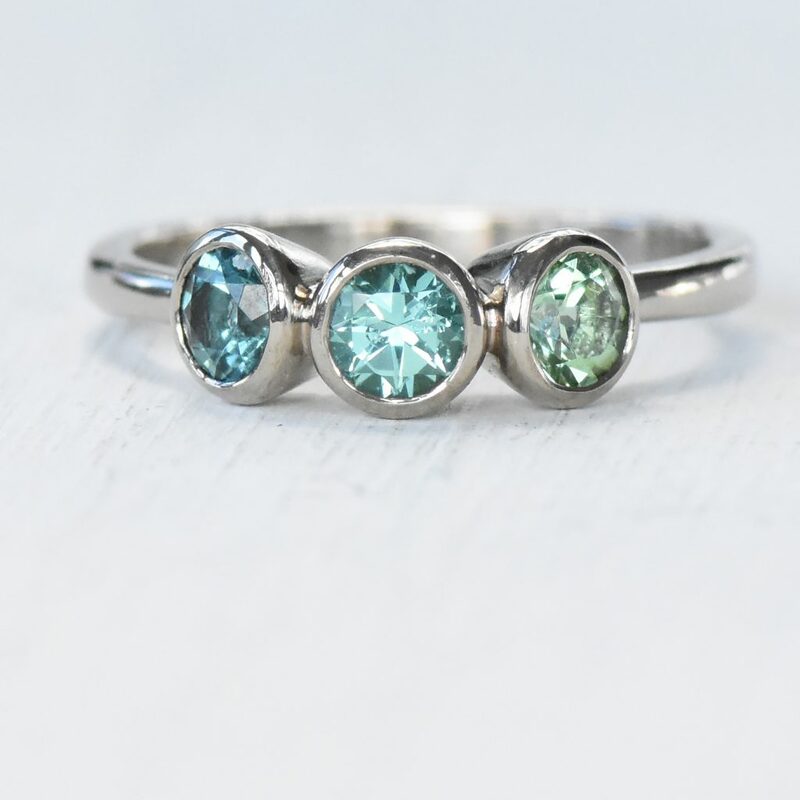 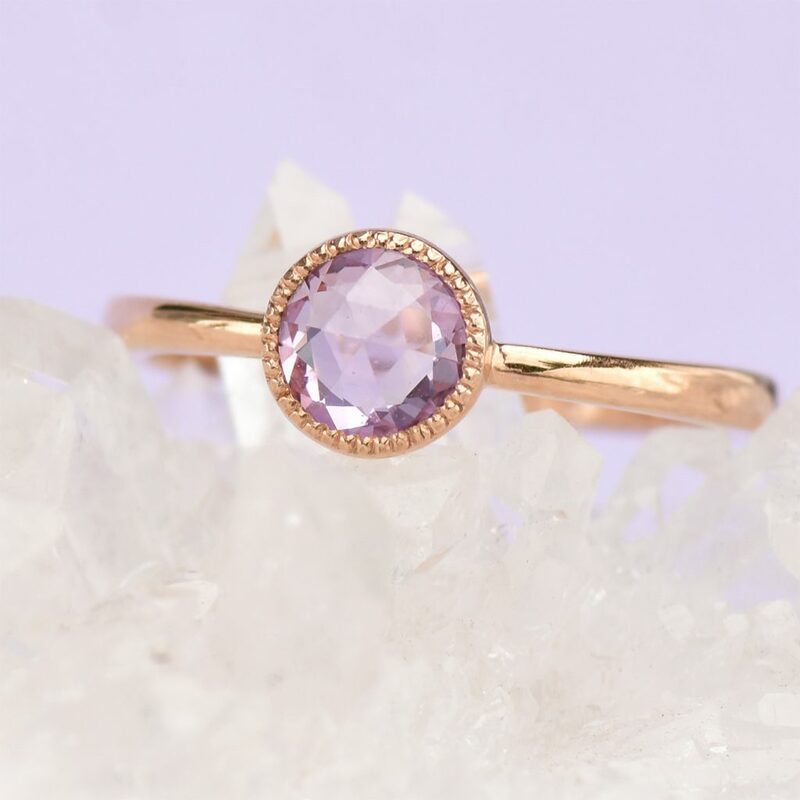 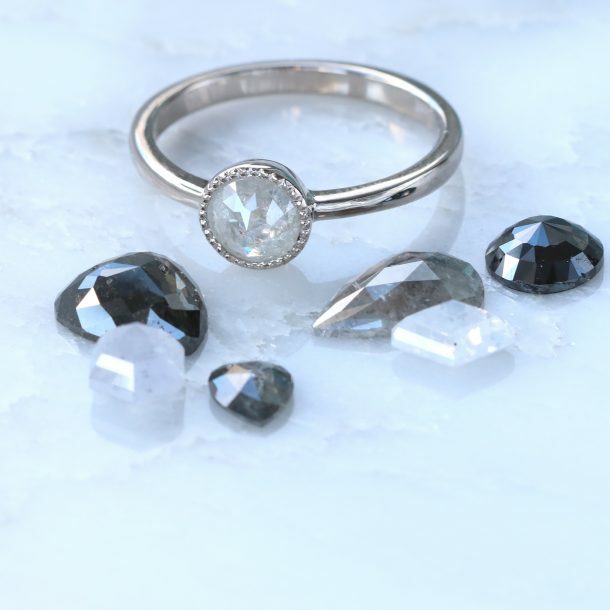 All of the diamonds and gemstones featured in Lilia's jewellery are either fair trade or lab-grown, lessening environmental impact and ensuring that fair prices have been paid throughout the supply chain. 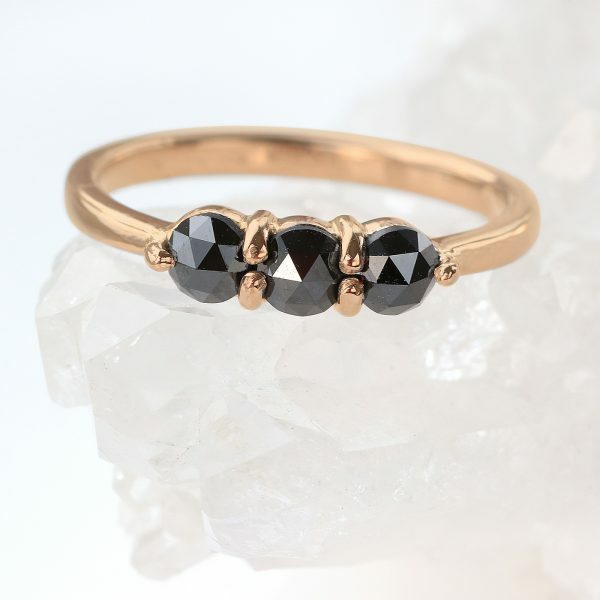 Lilia is dedicated to creating handmade jewellery that's of exceptional quality, made with the finest quality materials.